Being in Portland in winter doesn’t have to mean holing up at home watching the rain outside. There is plenty to keep you busy in this city, even in the colder months! It’s my first true winter living in a colder climate. I grew up in California, where it generally never dips below 40 or 50 degrees in winter. When I made a visit to NYC for New Year’s Eve a few years back, that was probably the coldest weather I experienced, but that was just for a week. Melbourne was potentially the coldest place in winter from my time abroad, mainly due to the intense wind, but I’ve never before experienced freezing temperatures as I do here in Portland in winter. I’ve taken on this whole winter idea wholeheartedly, buying warmer clothes, learning how to layer properly, and finally experiencing my fair share of snow. When I woke up last week to fresh snow covering the ground, I felt like a little kid at Christmas. I was so excited. After my recent trip up to Mt. Hood Meadows Ski Resort to learn how to snowboard, I’m finally starting to see just how beautiful winter in Portland, Oregon can be. 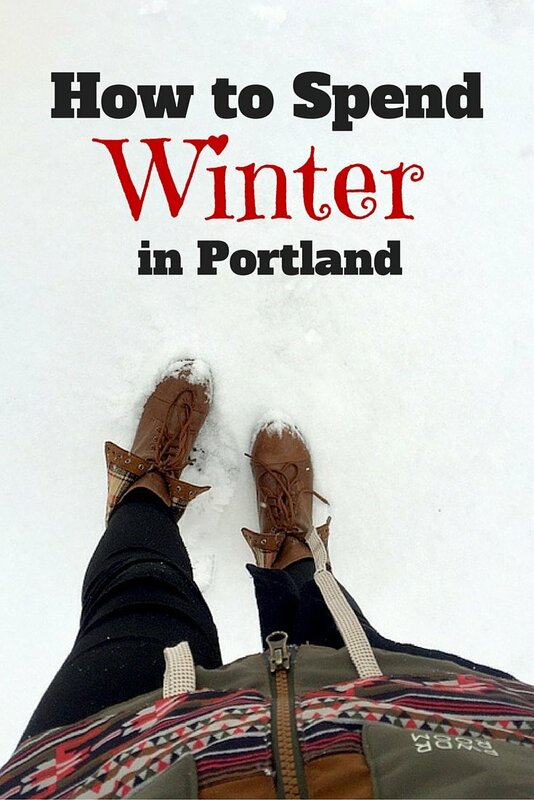 To share with you my excitement for the winter season, and hopefully have it rub off on you a bit, I’m sharing some of the best things to do in Portland in the winter. A Portland winter is pure beauty. This city during winter is hard to beat. 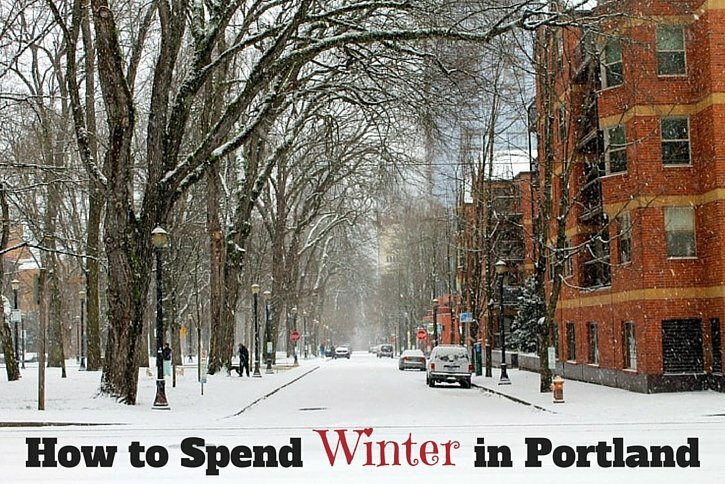 This Portland itinerary will help you discover what to do in Portland in winter. One activity to do in Portland in winter is to decorate the cities art in holiday gear. 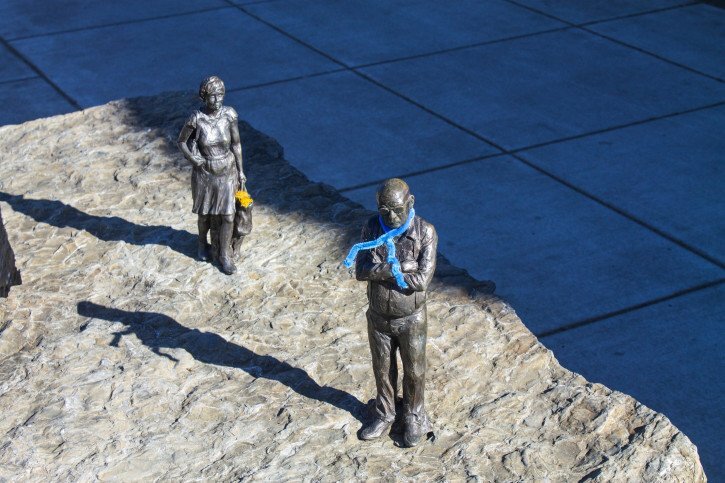 In true Portland fashion, iconic downtown sculptures get bombarded with handmade ugly sweaters around November and December for Ugly Sweater PDX. It’s hilarious walking around and seeing the most loved sculptures around the city decked out in the ugliest holiday sweaters and little beanies. It has become somewhat of a Portland, Oregon winter tradition to go around taking selfies with all the animals you can find, tagging your pictures with #uglysweaterpdx. Clearly, it’s a movement. A classic Portland winter activity is snowboarding. 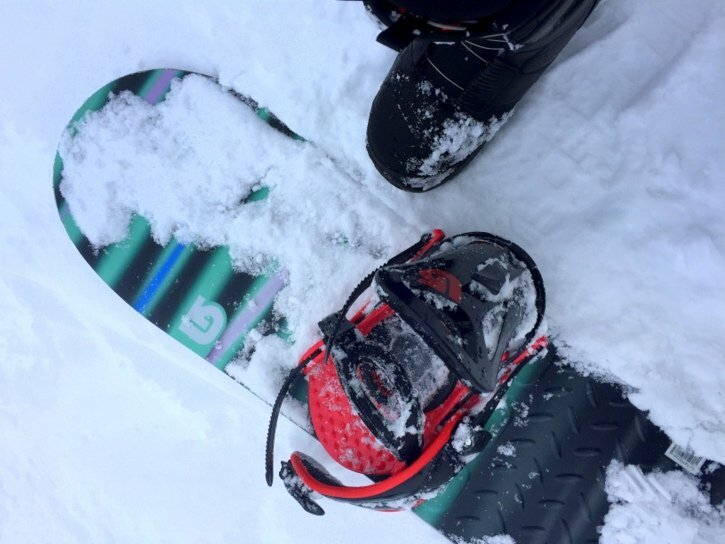 I already wrote about my experience learning how to snowboard at Mt. Hood Meadows Ski Resort last week, and I still cannot recommend it enough. No matter if you are spending 36 hours in Portland, Oregon, a week, or you live here, you must try snowboarding at Mt. Hood Meadows. Mt. Hood Meadows is recommended profusely by locals as having the best slopes near Portland for snowboarding and skiing. This is especially the case if you’re a beginner because they have a good variety of different levels on the slopes. Now that I’ve tested the slopes myself, I can only agree with the local recommendations I heard before my visit. Snowboarding or skiing at Mt. Hood Meadows seems to be another Portland tradition that’s loved by locals and visitors alike. If you are visiting Portland in winter you must stop by the Lloyd Center Ice Rink. This indoor ice rink is actually open year-round, so you could go ice skating or play some Portland hockey at the height of summer if you want, but what’s more wintery than ice skating in Portland!? Although I prefer the atmosphere of outdoor ice rinks, especially if it’s snowing, this is the next best thing since Portland doesn’t have an outdoor rink that I know of. Lloyd Center is a huge mall in Northeast Portland, and the ice rink is the centerpiece of the mall so you’ll probably have quite a few shoppers watching you skate around the rink. Since this is appropriate for all ages, skating at Lloyd Center is also one of the many fun things to do in Portland with kids. I tried Portland ice skating for the first time toward the end of last year at Lloyd Center, and I wasn’t as bad as I thought I would be. They do offer lessons at the rink though if you have any trepidation about skating on the ice. Beer drinking is a favorite winter pastime for many cultures and is definitely one of the top things to do in Portland in the winter. 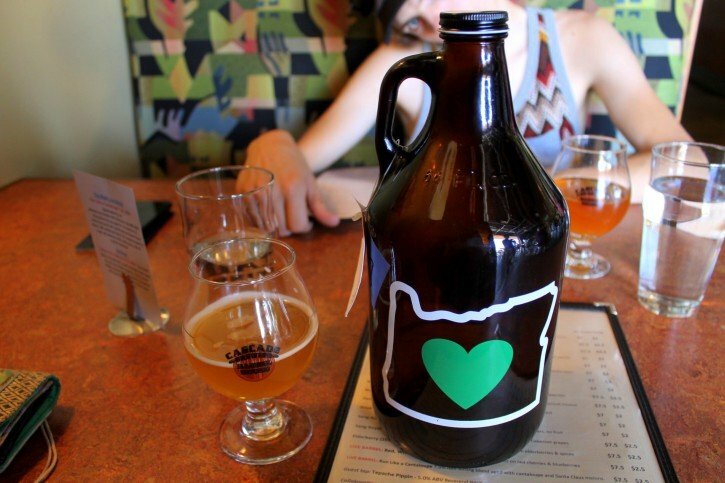 Luckily, there are an abundance of breweries in Portland to choose from! Now, not all of them are amazing, but there are a good handful that are quality breweries and offer brewery tours. My recommendations for the best Portland breweries to visit (that include free brewery tours) would be Bridgeport, Hopworks, and Widmer Brothers. If you would rather experience a variety of different breweries without having to figure out directions to each one, there is always the Portland craft beer group tours. They cost more money but will give you a good overview of the craft beer scene in Portland. A few favorites be BrewCycle, BeerQuest, Pedal Bike Tours Oregon Brewery Tour, and Brewvana. Yep, there’s a lot here! Another one of the great winter things to do in Portland is to attend an NBA Game. Seeing a live NBA game was another first for me this winter in Portland. I saw the Portland Trail Blazers vs. the New Orleans Pelicans. And we won! Although I’m a Golden State Warriors fan through and through, seeing a relatively inexpensive NBA game was still the perfect winter activity to enjoy in Portland this season. 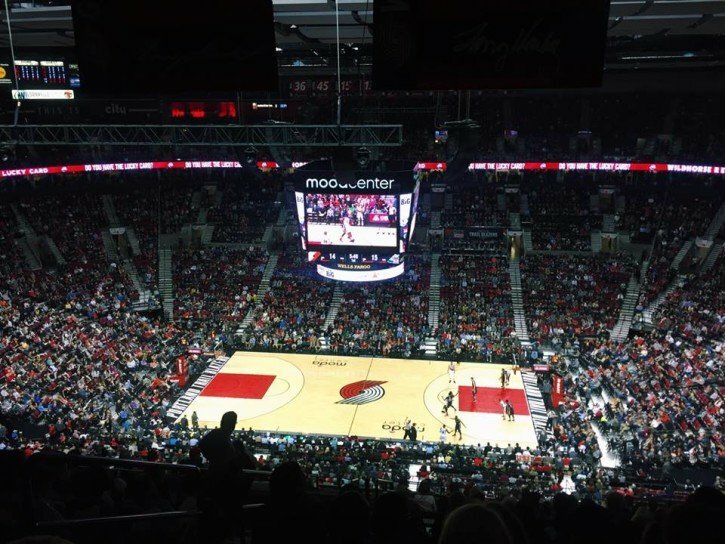 You can find seats as cheap as under $20 at the Moda Center, and there is plenty of craft beer from the likes of Pyramid and 10 Barrel to keep you happy throughout the game. The historic Timberline Lodge is an iconic site just outside of Portland, located in the stunning Mt. Hood territory. The Timberline beginnings go all the way back to the Great Depression and Franklin Roosevelt’s WPA. It’s also the lodge that was in The Shining movie with Jack Nicholson. Mt. Hood Meadows Ski Resort may have the best slopes in Oregon, but Timberline is one of the best spots to go snowshoeing in Oregon and enjoy the winter mountain wilderness while you’re at it. Their snowshoeing track is 3/4 miles long and rentals will run you $20/person per day. The lodge even offers a moonlight snowshoeing in Oregon tour at a few select times throughout the year. 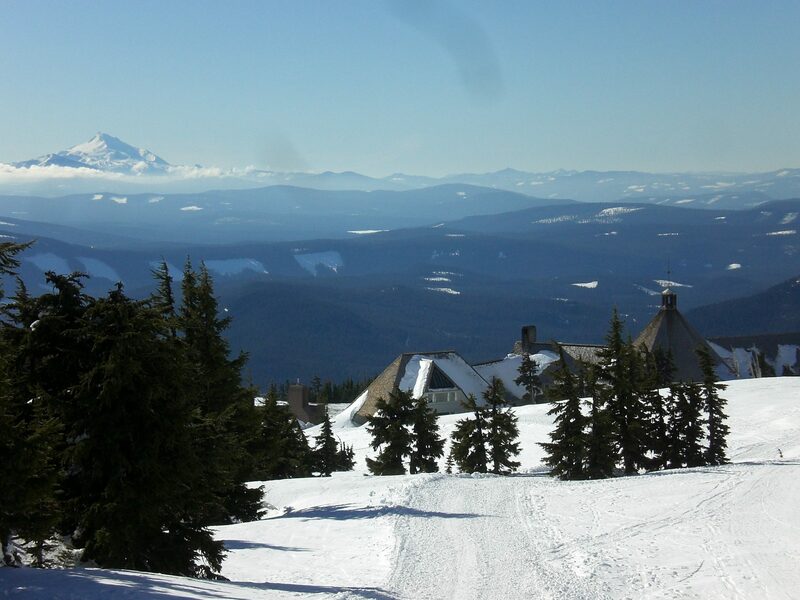 Timberline Lodge has snowboarding and skiing facilities as well, but it’s not as big or as good as Mt. Hood Meadows. Who doesn’t love epic light displays? Cool Christmas lights have always been one of my favorite aspects about the wintertime, and Portland offers an actual winter light festival after the holidays! This festival is one of the many unique things to do in Portland. The Oregon Museum of Science and Industry (or OMSI) started the Portland Winter Light Festival for the first time in 2016 and it has been going strong since. Similar to Wellington’s Lux: Festival of Lights, this Portland winter lights festival showcases large-scale light installations and interactive light projections around the waterfront from a variety of talented artists. And the best part is it’s FREE! It happens at the beginning of February every year, so don’t miss out! Perhaps my favorite aspect about Portland is the amount of inexpensive and unique movie theaters around the city. Due to the cold weather, cozying up for a movie is a great activity to do in Portland, Oregon in December. One of my all time favorites is Living Room Theaters on SW Tenth Avenue, which offers $5 movies on Mondays and Tuesdays. They have a full bar, food menu, and comfy seats that you’re able to select ahead of time. Heading across the river, the Avalon Theatre on SE Belmont Street shows relatively new and classic films for the price of $3, and it’s attached to a nickel arcade. The Academy Theater on SE Stark only charges a $4 entry. Of course, there are a ton of other historic theaters around town as well that may not be as cheap but will definitely provide you with a unique movie experience. Hollywood Theatre, Roseway Theater, Cinemagic, Laurelhurst Theater, and McMenamins Bagdad Theatre are all retro gems. You’re spoiled for choice when it comes to cheap movies in Portland, and it’s hard to think of a better activity on one of the many rainy winter days here than enjoying a movie at one of these classic spots. Whether you are exploring Portland in December or visiting Portland in January anyone of these three hotels will make great accommodations. This stunning luxury hotel is the perfect accommodation for anyone who wants to enjoy first-class service and amenities. You can relax in their spacious guestroom and enjoy their soft, plush linens and 24-hour room service. Each room comes with a Well & Fit kit, which includes a yoga mat, resistance bands, weights, core ball, and a tablet pre-loaded with fitness videos. The hotel is located steps away from Portland’s best restaurants, theaters, and shops. Right outside of the Sentinel is a streetcar stop, which allows guests to travel to the Pearl District, shopping areas, and the South Waterfront easily. The Nordic Inn and Suites is a great option for anyone who is looking for more budget-friendly accommodations. This motel is located about 3 miles from the Portland International Airport and features 24-hour front desk service. Each room comes with heating, air conditioning, a flat-screen TV, and a sitting area. 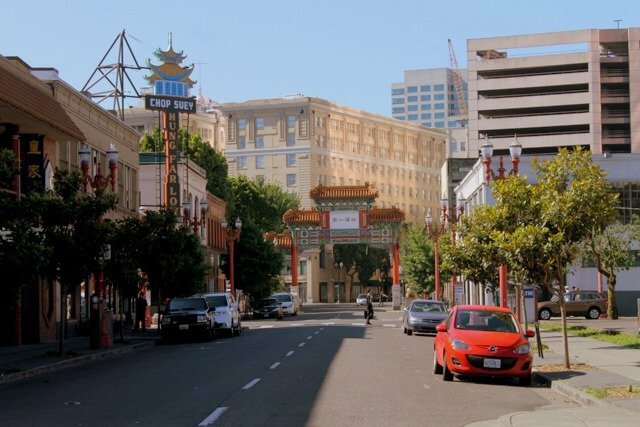 The motel is fairly close to some of Portland’s famous attractions including the Oregon Museum of Science and Industry, Lan Su Chinese Garden and the Oregon Zoo. This Portland hotel offers its guest affordability and stunning modern design. The Jupiter Hotel has an on-site restaurant, live music bar, and uniquely designed guests rooms. Each room is equipped with environmentally friendly bath amenities, stunning murals, and chalkboard doors. The Jupiter is only a 5-minute drive from downtown Portland. 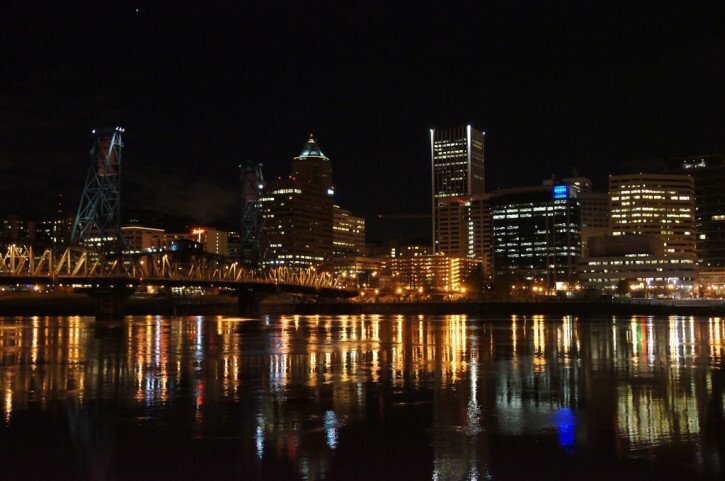 What are your favorite activities to do during the winter in Portland? With my first winter in the Pacific Northwest, I’m learning to embrace the season and take advantage of all the fun things there are to do around town. For the history buff who likes to get an alternative perspective to a city than just the usual sights. The Columbia River Gorge is the most popular area to see outside of Portland. Explore this beautiful lush area with the help of local tour guides who will take you to the best waterfalls and fresh trails that the Pacific Northwest is so famous for. Find out what to wear in Portland in January here Winter Day Hikes in the Pacific Northwest. Thank you! 🙂 I’ve been so surprised at how many fun activities there are in the winter up here – snow makes a difference sometimes! oh gosh the beaver with the ugly sweater! That’s awesome. You make me excited for winter! I hope to take snowboard lessons next year. One day though I’ll get to visit Portland! haha I know! Only in Portland. 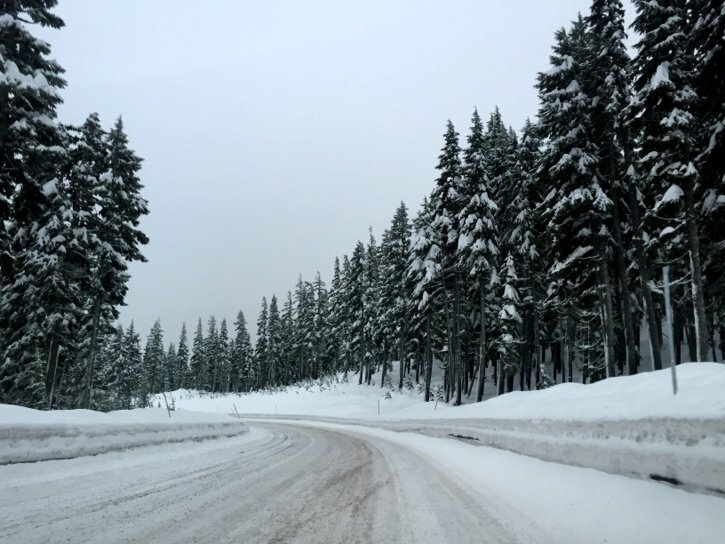 You should definitely make a visit to the Pacific NW in winter at some point – there is so much to do in the winter! I bet the light festival is beautiful! Love the snowshoeing idea. I have friends who live in Portland and they love it there. Such a beautiful place. I can’t wait to see the new light festival this February, it looks like a gorgeous and artistic way to brighten up the Portland waterfront! Ha the ugly sweaters idea is great how funny. Those pictures of the snow are beautiful, too! I live in a mountain town in upstate NY known for skiing- everyone was weirded out in december when we were having 50’s to almost 70 degree weather- but I loved it! Haha- I always say, I’m not a fan of winter really, but I would miss the change of seasons badly if I didn’t have it- I know i would. I know, I loved walking around town and spotting ugly sweaters everywhere around Xmas time. I never knew how much I would love the change of seasons until I moved out of San Diego, which really doesn’t have any, haha. Never been to Portland, but love to someday. I bookmarked your post to refer to whenever I would travel there. Thanks for sharing! Fabulous guide! I’ve been yearning to go back to Portland and, if I go in the winter, I’ll keep all of this mind! Great list! 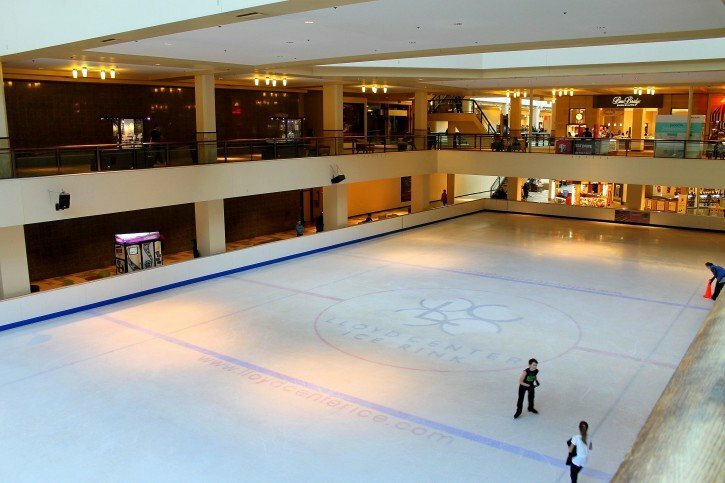 I forgot about Lloyd Center’s ice rink — haven’t been there in several years, but what a fun idea! Thank you Marlynn. I was so excited to ice skate for the first time at the Lloyd Center. It’s sometimes forgotten due to it being in a large shopping mall, but it was such a fun experience! I’ve heard Portland is absolutely beautiful and I definitely want to visit! Although I’ll probably come in the spring or summer, these are great suggestions for the winter. I would recommend the spring! It gets stifling hot in Portland in the summer sometimes, this last one was 90+ degrees most days. eek! Luckily there are a ton of activities (and donuts!) to keep you busy around the city no matter what season it is. Beautiful photos and great live! I’ve never visited Portland but I love Seattle, so I’m sure I would love the P city too. Thank you, Celia. You should definitely come for a visit at some point. I was surprised at how different Portland and Seattle are from each other as cities, even though they’re both surrounded by the natural beauty of the Pacific Northwest. Thank you so much for this! I’m from California also, this will be my 3rd winter in the Portland area, and I have yet to go out and embrace it. This inspired me to be more open minded about the cold???? Hi Charlotte, your attitude toward outsiders makes me sad. I hope that closed-mindedness one day changes. In the current world that we live in where there is so much hate for the “outsider”, we could all use a little more understanding and decency. I wish you well and hope one day you get to travel outside your bubble and expand your mind a bit more.